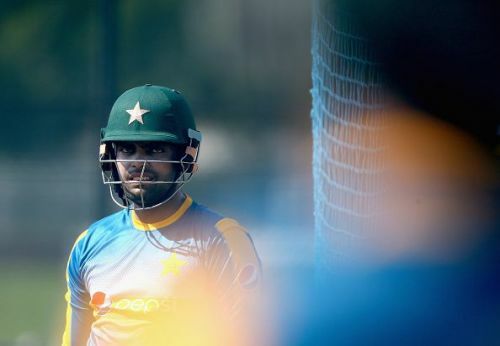 In a recent interview with the media in London, Umar Akmal has claimed that the Pakistan Cricket Board (PCB) has cleared him of spot-fixing allegations and corruption. The swashbuckling batsman from Karachi has taken all the blame upon himself for not being in the scheme of things as per as selection is concerned. He also expressed disappointment of not being a part of the Pakistan team in the recently concluded Champions Trophy. "It was hard to accept that I could have been part of this history making team. And I felt bad not being part of the Champions Trophy. But I always wished the players well and hoped they won the tournament,"- the wicket-keeper batsman added. Earlier this year, during the second season of the Pakistan Super League, Sharjeel Khan was alleged to be involved in the spot-fixing scandal. However, two more names came to the fore, one of them Umar Akmal. Following allegations that he had tarnished the reputation of the game and brought shame to the world of cricket, Umar Akmal found himself excluded from the list of 35 centrally contracted players that started from July 1, 2017. In addition, fitness has also been a major concern for the right-handed batsman. Akmal failed two fitness tests, following which his name was omitted from Pakistan’s Champions Trophy squad. He also failed to make the Pakistan squad due to similar reasons when they toured the West Indies in April. He is currently in London for treatment on his knees. The Pakistani player last represented his country in January 2017 when the Men in Green toured Down Under for a 5-match One Day International series. The next target for Pakistan should be ensuring direct qualification for the ICC Cricket World Cup, 2019. September 30, 2017 is the deadline for the selection of the top eight teams. With 95 points, Pakistan is currently placed sixth in the ICC rankings of One Day International Teams and as of now, are in a comfortable position for a direct qualification. "Innocent till proven guilty" is how the saying goes. Umar Akmal, as things now stand, stands accused of fixing, and it will be good news for Pakistan Cricket and Akmal, if he is proven innocent in the first place. Pakistan doesn’t have any international commitments in the near future. This might work wonders for Umar Akmal as now he will have enough time to grill, grind and work upon his fitness in order to get back in shape for Pakistan’s upcoming matches in the future. He was once hailed as one of the best batsman Pakistan have ever produced - and he is not a figure they will want to lose anytime soon.